Mining, quarrying, ironworking and engineering. Any concern mentioned subsequently can be understood to have had steam locomotives at some period. The earliest railways in Sweden were, short lines forming links in chains of water transport for iron, such as that down to Kristinehamn on Lake Vaner which consisted of fifteen small lakes and eleven sections of railway; some of the latter were worked by horses and the others by locomotives. Today, iron-ore traffic, much of it from Kiruna in the far north, makes up a quarter of all rail traffic in Sweden. The Luossavaara-Kirunavaara AB, which operates the extensive iron-ore workings around Gällivare, had the largest number of steam locomotives in the country, with twenty-seven known examples; these include eight second-hand saddle tanks (built by Sharp Stewart, Beyer Peacock and Manning Wardle), eleven 0−8−0 side tanks of the State Railways class "N" (some second-hand from the State Railways and others built new for the company) and one 4−4−0 side tank of the type popular on the private railways of southern Sweden. The last-named locomotive, built by Nydqvist & Holm in 1882 (No.160), is now in the museum at Narvik. Chalk, and therefore cement manufacture, is found in the extreme south-west in the province of Skåne, and on the island of Gotland. The cement works at Limhamn, near Malmö, (Skånska Cementfabriks AB), had over twenty steam locomotives on three different gauges, mostly Krauss 0−4−0 tanks. No.13, a Krauss 0−4−0 well tank, 6051 of 1908, is now in the Malmö Technical Museum. The ten narrow gauge quarry railways on Gotland had some twenty-six locomotives between them, including a Hughes of unknown type built in 1873 which was obtained in 1915, two 0−4−0 vertical boilered engines by Atlas of Stockholm, and a rare 0−4−0 side tank by Märkische of Schlachtensee. A 600mm gauge 0−4−4−0 Mallet tank, supposedly built by Orenstein & Koppel, has since been acquired by the Swedish Railway Club. Mining of iron-ore and the manufacture of pig-iron developed early in the Bergslag area but has since moved eastwards to the province of Dalarne where the Horndals steelworks had a number of old main-line tank engines. 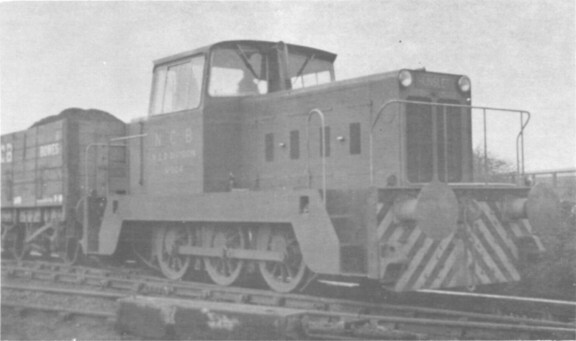 Domnarvet steelworks had an interesting collection on the standard gauge including a Fox Walker 0−6−0 saddle tank (293 of 1876) which lasted until 1948, and shared a narrow (693mm) gauge line with the Kvarnsveden paper mill. The latter's steam locomotives, now all gone, included a side tank by Falcon (206 of 1892), two 0−4−0 fireless (rare in Sweden) which they built themselves, and a Borsig 0−8−0 side tank originally built for the Deutsche Feldbahn. In 1964 the Steelworks at Avesta still had four 600mm gauge locomotives in store. Among the engineering works mention should be made of Sweden's three major locomotive builders - Nydqvist & Holm at Trollhättan; Motala; and Vagn & Maskinfabriken at Falun. The latter had the only known crane tank in the country - Barclay 878 of 1900. Forests cover half the land area of the country with the highest concentration in the centre. Timber is often floated down by river to the sawmills which are for the most part on the east coast. Korsnäs AB, near Gävle, with a Scottish background like many business enterprises in Sweden, had an 1898 standard gauge Gibb & Hogg 0−4−0 saddle tank, a Chaplin 0−4−0 vertical boilered locomotive, and a Peckett 0−6−0 saddle tank (807 of 1900) acquired from a railway contractor. Agriculture, as far as the industrial railway is concerned, generally means sugar-beet, and more than a dozen sugar factories in the south-west had rail systems. Their locomotives were almost invariably standard gauge types acquired from main-line railways and included one of the famous Bergslagernas Railway's 0−6−0 saddle tanks (Beyer Peacock 1338 of 1874). The extensive networks of narrow gauge lines so evident in Denmark are here conspicuous by their absence, although there was one such agricultural line at Rögle worked by two charming 600mm gauge 0−4−0 side tanks built in the 1890's by the local firm of Hälsingborg MV. This little railway, however, was closed as long ago as 1925. Mention should also be made of the peat processing works at Emmaljunga, closed in 1927, which had two very strange 600mm gauge 0−4−4−0 tanks built in 1905 by the almost unknown Danish firm, Jensen & Olsen of Esbjerg. The harbours at Hälsingborg, Malmö, Åhus, Kalmar and Halmstad all had their own steam locomotives at various times. In Stockholm the gasworks had an interesting stock. 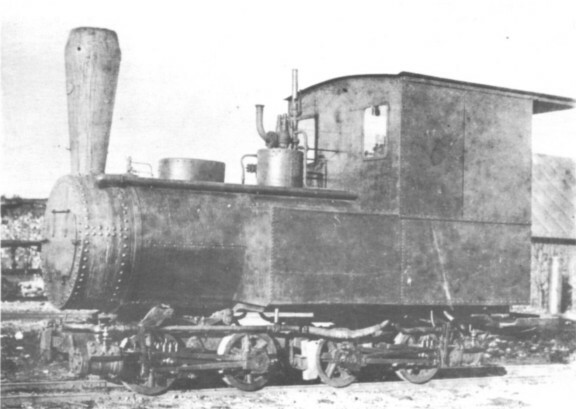 One of its three Borsig 0−4−0 fireless locos, acquired in 1916 from (of all improbable places the Sydvaranger Railway at Kirkenes in northern Norway, managed to destroy itself by exploding in 1929. What appears to have been the last industrial steam locomotive built in Sweden, Nydqvist & Holm 1971 of 1929 - another 0−4−0 fireless, was also at the gasworks. Then there were two 2−6−0 side tanks acquired from the Uppsala-Enkoping Railway (the 2−6−0 side tank was less rare in Sweden than in Britain), and at least one of the Black Hawthorn 0−4−0 saddle tanks built in 1889 for the British-financed Swedish & Norwegian Railway which eventually ran from Gällivare to Narvik. About a dozen railway contractors with their own locomotives have been identified. They include E. Clark, Punchard & Company, an English firm which came to grief building the Nässjö-Oskarshamn Railway in 1870; their successor, Morton, used four Fairlie type 0−4−4−0 tanks built by Sharp Stewart in 1870-1871 and a Manning Wardle 0−6−0 saddle tank (325 of 1870) previously used by Clark, Punchard in England on the construction of the Bedford & Northampton Railway. Another English contracting firm, G. Thomas & Company of Manchester, brought over a number of 0−6−0 saddle tanks built in 1898-1900 by Peckett and Chapman & Furneaux to assist with the construction of the Gislaved-Reftele section of the Västra Centralbanen. 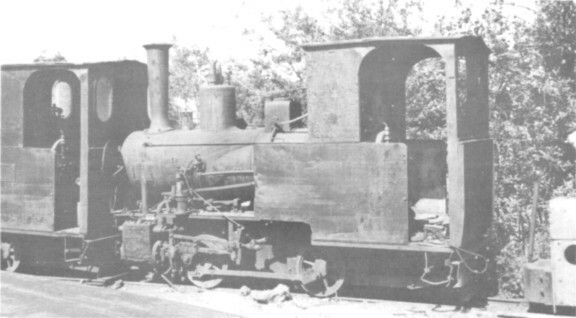 It has not been possible to trace the standard gauge Manning Wardle 0−6−0 saddle tank WHITTINGTON (works number unknown) said to have been sold to Sweden about 1867 by I.W. Boulton of Ashton-under-Lyne. Black Hawthorn 962 and 963 of 1889 (type and gauge not known) are stated to have gone to Sweden but their operator has not been identified. All three may have gone to industrial lines as the locomotives on Swedish private railways are now well documented. Positive information or suggestions are invited. Modern motive power on the Bowes Railway - a view of No.504 (Hunslet 6615 of 1965) shunting at Wardley in December 1965. This photograph was taken by Colin Mountford, who is of course the Author of the book we have published concerning this line, and which will be found advertised elsewhere in this issue.